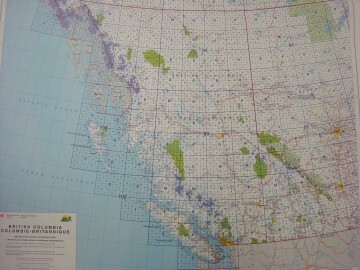 The GIC has approximately 52,000 maps specializing in BC. 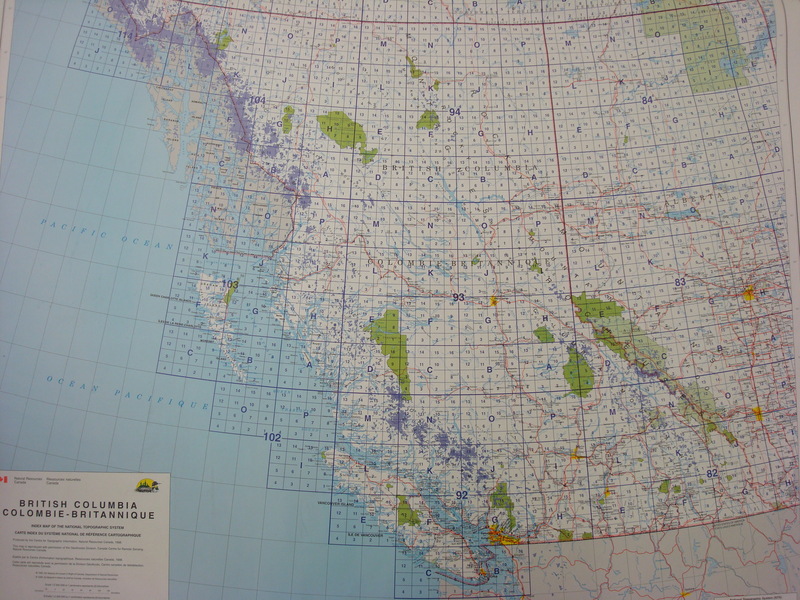 The GIC has a collection of National Topographic Maps for BC at scales from 1:25,000 (large scale) to 1:1 million (small scale). All maps are filed by their N.T.S. number. To locate a map, first find your area on one of the 3 index maps for Canada located on top of the first map chest. Select the scale, decide whether you wish to find a map with a lot of detail and information (1:50,000), or whether you wish to view a larger area in less detail (1:250,000 or 1:1,000,000). Find the correct index map and determine the N.T.S. number, and then go to the number located on the drawers of the map chests to find the map. Thematic maps on a variety of subjects such as: geology, terrain, soils, resources, vegetation, land use, forestry, minerals, etc are available – mainly for BC.